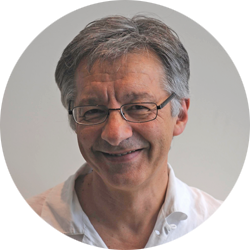 Dr Nicholas Vlahogiannis was a Senior Fellow in the School of Historical and Philosophical Studies, University of Melbourne. He has taught Ancient History and Classical Studies at the University of Melbourne and the University of Surrey (UK) and was a Visiting Research Fellow at King’s College London (1992-1994). He currently teaches Classics and History at Melbourne Girls Grammar. Nick’s principal research interest is Ancient History, but he has published on Australian and modern Balkan history. His publications include The Heritage of Hellenism: A Handbook (Melbourne: ASA Publications, 1997), Diplomacy and War: The Foreign politics of Mithridates Eupator VI, King of Pontus, (Department of History Monograph Series, Melbourne) and Representations of disability in the ancient world, (Routledge, London & NY, 2008). In 1984/5 he was co-director of an archaeological tour of Greece and Southern Italy with the University of Adelaide. In 1995 Nick led a tour for Australians Studying Abroad entitled The Heritage of Hellenism: Greece & Western Turkey, and co-led the tour The Mediterranean: Malta & Sicily (1995 & 1996). Nick was also the coordinator of the University of Melbourne credit subject The Graeco-Roman City in Antiquity and led this subject for over ten years.